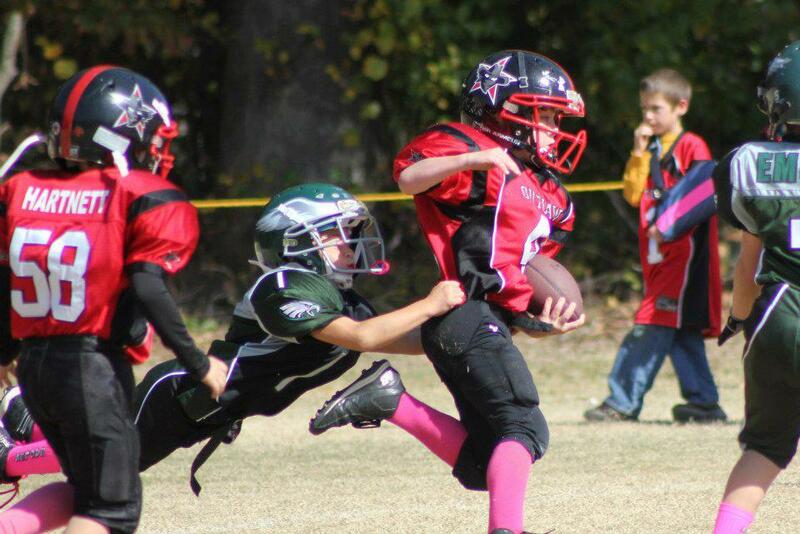 Calvert and St. Mary's County Youth Football unite! It’s been a long time in the making, and it’s finally happening. Youth football coaches in St. Mary’s and Calvert counties are gearing up with a merger in full effect. Three youth football teams in St. Mary’s County and six teams in Calvert County will now compete against each other, and not just in preseason scrimmages. The teams will no longer fall under their respective county’s parks and recreation departments. The nine teams will conduct their own fundraising. The Mechanicsville Braves, Leonardtown Wildcats and the Pax River Raiders will compete against the Beach Buccaneers, the Dunkirk Warriors, Huntingtown Hurricanes, Prince Frederick Eagles, Owings Outlaws and the Solomons Steelers.